The Clippers win 4-0 in a rematch of last year's Class B South regional final. 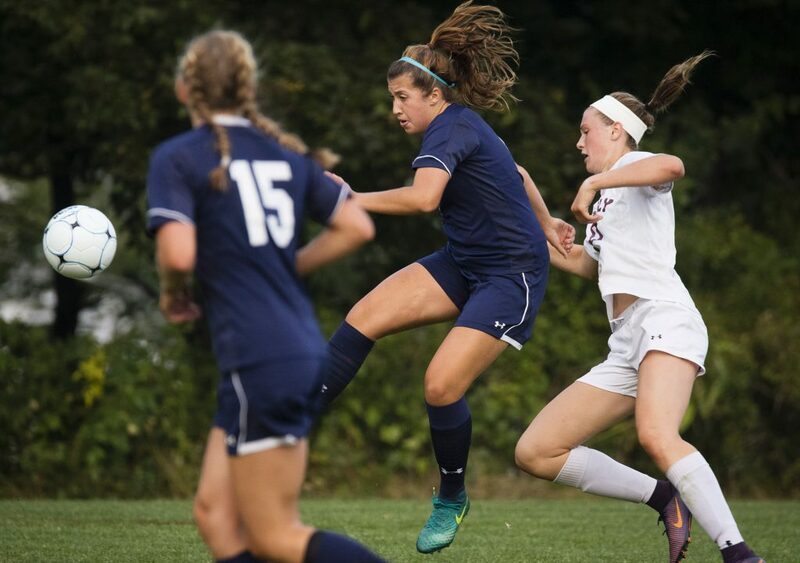 CUMBERLAND — The Yarmouth girls’ soccer team has a new coach, but that apparently doesn’t mean the Clippers are rebuilding. 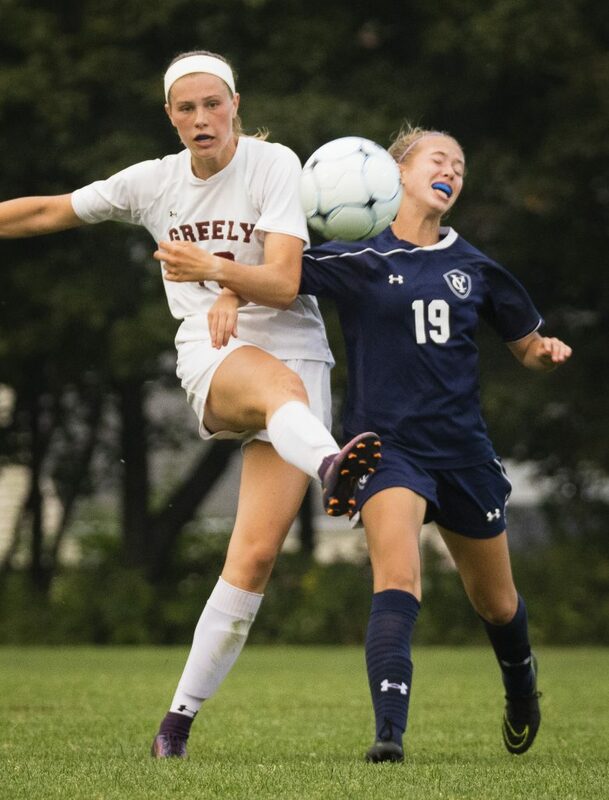 The reigning Class B state champions looked like they will be tough to beat when they rolled to a 4-0 win Tuesday against Greely in a rematch of last season’s South regional final. “They know they’re the team to beat this year, and they’re going to work twice as hard to make sure they’re not a one-hit wonder,” said Coach Chris Coleman, who took over when Josh Thornton left to become the assistant men’s soccer coach at Bates College after one season with the Clippers. The Clippers (2-0) dominated play during the first half in taking a 2-0 lead. Ella Purgavie opened the scoring during the 19th minute when she put in a wide-angled shot from the right side after getting past a defender along the end line. With 12 minutes left in the first half, Olivia Feeley slammed a direct kick from 35 yards out on the left off the fingertips of goalie Molly Mathews, who leaped to try to keep the ball from going in under the crossbar. “(Yarmouth) played well, but when you give up two goals in the first half, it’s ridiculous,” said Greely Coach Josh Muscadin. The best scoring opportunities for the Rangers (1-1) came early during the second half. Less than five minutes in, Julia Martel went one-on-one against goalie Meredith Lane after breaking in alone on the left side, but sent the ball just over the crossbar. About five minutes later, Lane batted away Martel’s shot from the right side of the penalty area. 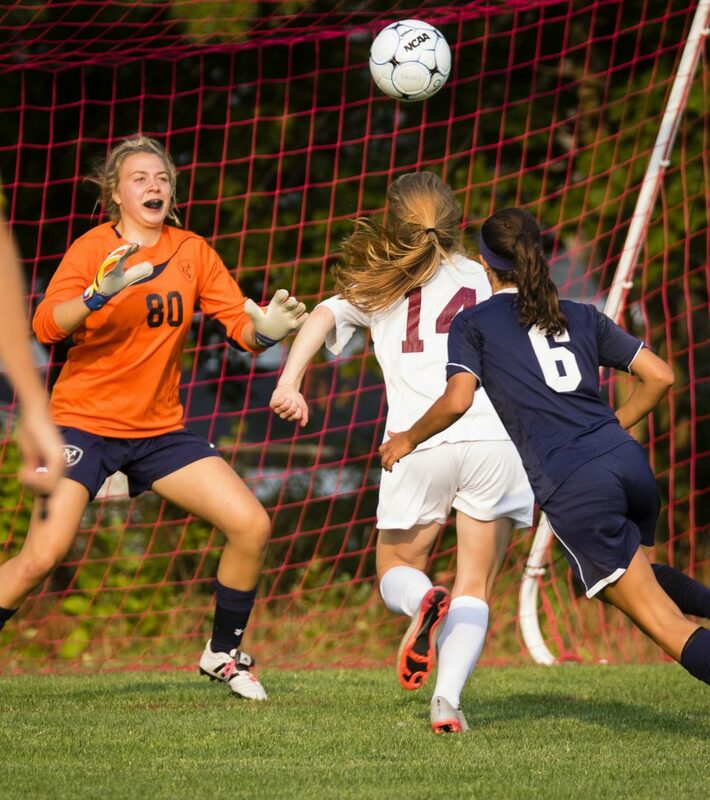 For much of the game Greely had difficulty sustaining an attack or maintaining possession. 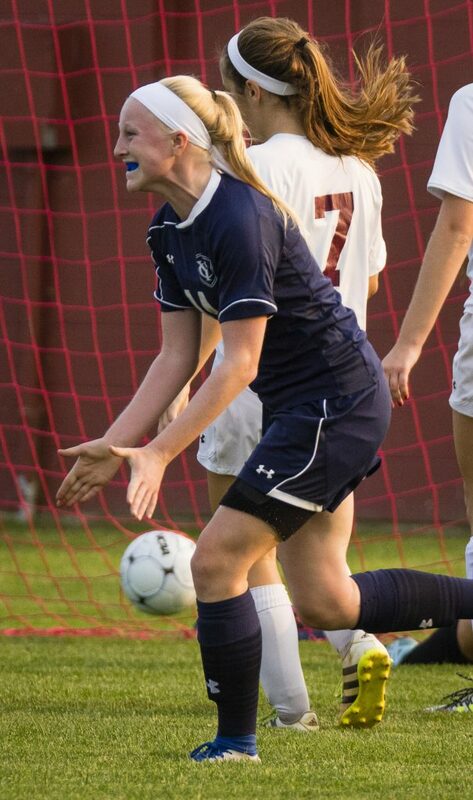 Hannah Corey anchored a very solid back four for Yarmouth. With a little more than 20 minutes left in the second half, D’Appolonia rolled in a shot from near the left post into the far corner to make it 3-0. Adriana Whitlock had an assist. With less than seven minutes left, Hannah Merrill put in a penalty kick after she was hauled down well inside the penalty area when she broke in alone. 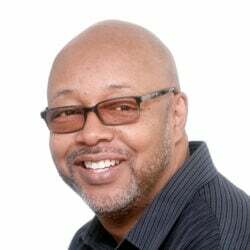 Muscadin expects the Rangers to play better the two teams meet again Sept. 16 in Yarmouth.